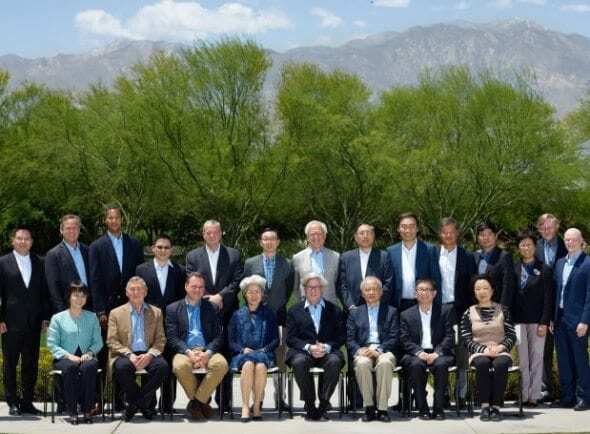 Rancho Mirage – The Brookings John L. Thornton China Center and The Annenberg Foundation Trust at Sunnylands hosted the second U.S.-China Leaders Forum at Sunnylands this week. The Forum, held from May 7 to May 9, 2017, brought together high-level policymakers, business entrepreneurs, innovators, military strategists, scholars, and public intellectuals to foster greater understanding and trust between the United States and China, as well as develop and promote ideas for increased collaboration between the two countries on issues of the day and subjects of long-term strategic interest. In all aspects of China’s development—institutions and governance, economics, geopolitical strategy, technology, demographics, the environment—major changes are underway. The same is true for the United States. Each issue induces its own ripple effect on global affairs. In light of these evolving trends, and as the United States searches for new approaches to geopolitical and economic leadership, the need for increased understanding and cooperation between the United States and China has become all the more critical. The Forum follows on the heels of last month’s summit between Presidents Donald Trump and Xi Jinping, where four new “pillars” for comprehensive dialogue between the two countries were announced. Forum participants engaged in detailed discussions in those areas, which included regional security and strategic cooperation; trade, investment, and infrastructure development; technological innovation and cyber security and law enforcement; and social and cultural development. The in-depth and timely exchanges also focused on the trajectory of U.S.-China relations through critical periods of transition in both countries—namely, the new U.S. administration and the expected large-scale leadership turnover at China’s 19th Party Congress this fall. Jerry Yang, Founding Partner, AME Cloud Ventures; Co-Founder and Former CEO, Yahoo! Inc.